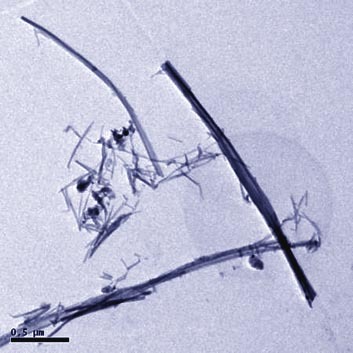 During recent years, we have studied the controlled precipitation of amorphous titanium oxyhydroxide followed by continuous or batch hydrothermal crystallization to obtain anatase nanoparticles as well as the Kasuga method to make titanium dioxide nanowires, with introduction of dopants at different steps of the process. 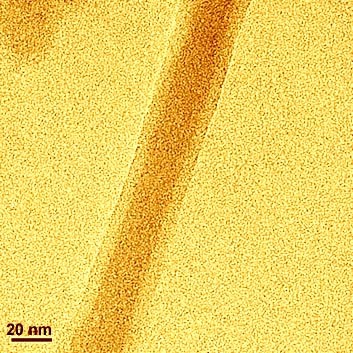 These methods have been studied in the ANR PARTOX Project, in the PHOTOMEM Project, and a thesis by Daniela d'Elia to test the effect of doping and morphology on photoactivated water splitting. sol-gel (Matthieu Rivallin, 2003, collaboration with LIMHP) integrating a chemical engineering approach and kinetics models of condensation.